If you are wondering whether it is possible to reduce eye power, the answer is yes, it is. There are many ways to reduce eye power through food, yoga and eye exercises. Let us discuss these easy ways today. Manual error in eye exam often leads to use of glasses or contact lenses of the wrong power. This causes unnecessary eye strain and weakens the eyes further. Once you have your power examined by several opticians, use glasses with lenses having the lowest power. This will strengthen your eyes and prevent further weakening. There is an old folk remedy (which even many doctors are known to prescribe)- wearing distant vision lenses for close distances and vice a versa helps strengthen the eyes and prevent further deterioration. This is not true. This form of plus lens therapy can cause abnormal lengthening or shortening of the eyes. It can even increase eye tension and instead of reducing power, it could lead to detached retinas, cataracts and other problems. Kids and teens-reduce your screen time. Avoid spending hours on tablets, smartphones and laptops. If you are required to work on projects or school stuff, take frequent breaks in between. Rest your eyes by closing them after every 15 minutes. You could even take a walk or stare into the distance (outside the window). Blink more subconsciously when working at the computer. We will discuss some more computer eye strain related tips later in this guide. Once you have your prescription, wear glasses made according to it by a professional. Never wear those cheap, dollar store eye glasses which are not manufactured by professionals.Use good quality frames that fit you well. Many so called eye drops claim to help you reduce eye power. Avoid using them unless your eye specialist has prescribed them. If you have dry eyes, then use eye drops prescribed by your doctor to increase tear production. Palming relaxation exercise to reduce eye power-Cover your eyes gently with your palms. Sit comfortably. Now breathe in deeply-stomach expansion should be greater than chest expansion. Breathing out, let the stomach go in. Do this 5-10 times. Children may cover their eyes with the palms and even day dream about something nice when doing this palming exercise for reducing eye power. Tai Chi and Qigong are other techniques for reducing eye power. 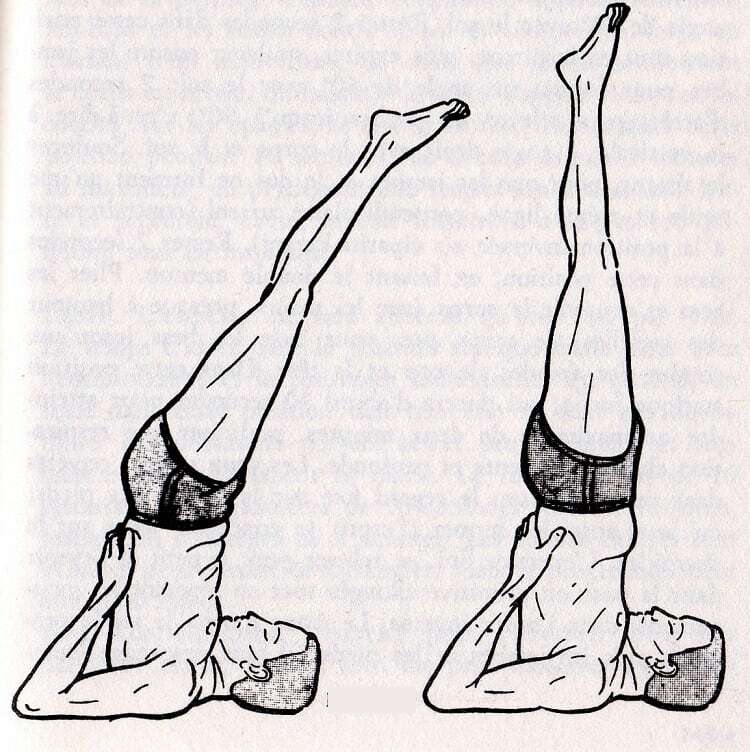 Yoga poses for the eyes are Sarvangasana (shoulder stand) and Brahmri pranayam. In Sarvangasana, you start by lying on your back on the yoga mat. Slowly raise your body waist up and support your back with your hands. The elbows will rest on the floor. Image below will help make it clear. In Brahmri pranayama (bee breathing technique), you sit with your eyes close. Place your index fingers of both hands on the ears near the area where the ear is joined to your face. Inhale deeply and exhale while humming like a bee. Do 3 sets of Brahmri twice a day. This will not only reduce your eye power but also help you sleep better. 7. Swaying and dancing reduce eye power! These are wonderful eye exercises to reduce power. Swaying and dancing to music helps strengthen the eye muscles and the activity improves clarity of vision. Dancing also gets the eyes moving together which further helps in strengthening eye muscles. Junk food, especially sugar is the worst for your vision. It makes the eye lens swell up aggravating myopia. Poor diet can also lead to age related degeneration, glaucoma and cataract. Avoid unhealthy trans fats. Eat fiber rich diet consisting of veggies and fruit. Avoid salt as far as possible. Take a multivitamin pill daily. Do avoid caffeine and caffeinated beverages. These are some easy ways to reduce eye power with food. If one of your eyes is weaker than the other, wear an eye patch to correct it. Wear the patch for an hour every day while reading, playing or watching TV. Avoid wearing the patch when doing household chores which require use of both eyes. When outdoors, use a sunglass to block out the harmful UV rays.Get lenses with the lightest tint and make sure they are polarized and actually block UV rays. This is essential to keep the eyes strong and prevent further degeneration. Sit in a dark room with a lit candle. Sit at a comfortable distance from its flame. (The candle’s flame should be at your eye level. )Stare at the flame unblinkingly until your eyes water. Do this every day. Imagine the letter E having dots on each bar. Practice eye shifting going from one bar to another. Trace the figure of 8 with your eyes. Look to your extreme left, then extreme right, then top and bottom without moving your head or body. Squeeze eyes shut then open them wide. Squeeze. Open. Repeat. Blink soft, easy and relax. This is a simple technique to reduce eye power. Open your eyes and look at an apple placed at a distance from you. Do not wear glasses. This way, you will see it blurred. Now close your eyes and imagine the fruit clearly in your mind’s eye-without the blurry edges. Visualize it perfectly. Now open your eyes and you will actually see the apple clearly. Do this simple exercise daily. According to Chinese medicine, Acupressure and reflexology can help strengthen the eyes. You can seek help from a trained therapist or do a self massage on the acupressure points around the nostrils, the inner edges of the eyes, above the eyebrows, the tips of thumbs as well as the toes. Massage daily for 5 minutes. While this therapy may or may not show desired results, it can at least help you relax your mind and body while working. 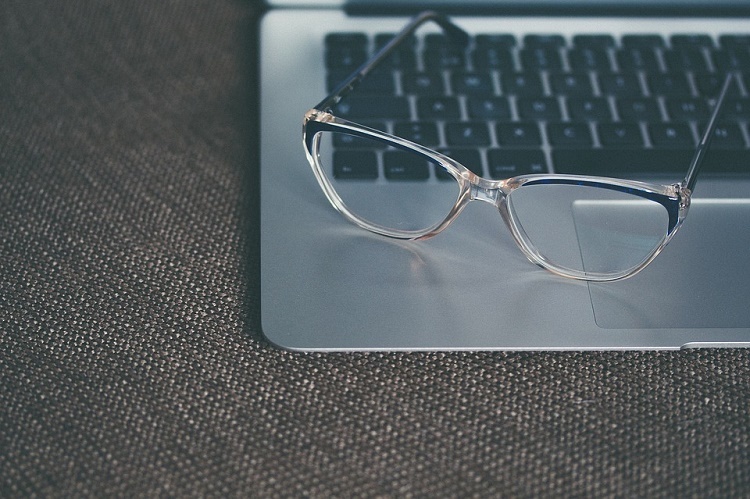 Improper posture while reading or working at the computer can also result in eye strain. An easy way to reduce eye power is to sit up straight and keep the chair, keyboard and monitor in roughly the same direction. Avoid oblique or diagonal orientation. This will not only reduce neck strain, but eye strain as well. If you need to refer to reference documents, place them horizontally aligned with the monitor. Never lay the reference documents flat next to the keyboard. Use dim light for computers and bright light for reading. This will not reduce eye power but it can prevent it from increasing. Also use anti glare screens certified by American Optometric Association. Keep the monitors at least 25-26 inches away from your eyes. Some of the methods described here may not reduce your eye power but they can certainly help maintain it and prevent it from worsening.